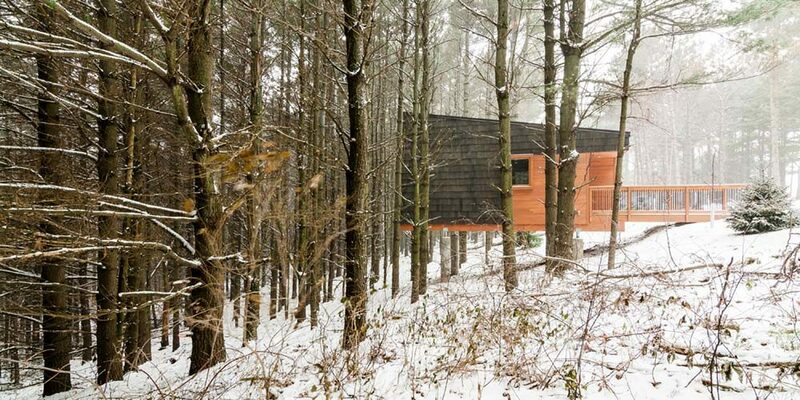 The treehouse craze has hit an all-time high, with people going to the far reaches of the world’s deepest darkest forests for a brief chance to live among nature’s most abundant organism. The Whitetail Woods Regional Park Camper Cabins are sure to scratch this indelible itch. Designed by HGA Architects, the Camper Cabins attract scores of tourists every year because of their auspicious stature and inherent connection to the stunning Minnesota countryside. 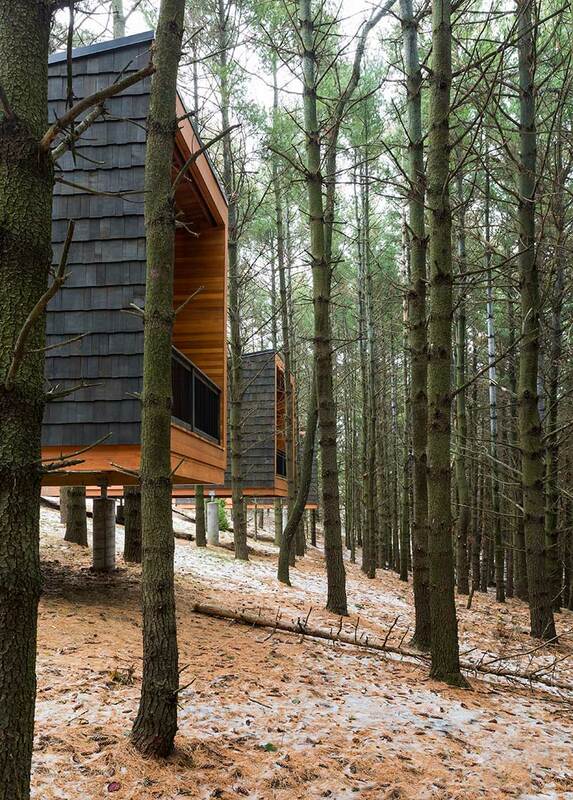 Living amongst the trees has never been so en vogue. The Whitetail Woods Regional Park is a 456-acre public meeting place designed to be a melting pot of artistic, cultural, and ecological expressions of shared space. The park includes food production areas where guests are welcomed to pick, prod, and forage at their leisure while enjoying incredible views and serene tranquility. Perhaps the highlight of the park, however, are three carefully sited wood cabins that borrow important elements from the park’s overall attitude towards the preservation of beautiful things. The treehouse cabins are comprised of a single vaulted rectangular volume that juts out abruptly from various hillsides throughout the park. A footbridge takes visitors to the front door, where wood clad exterior walls and appropriately placed stretches of glazed openings compose a quaint modern facade. 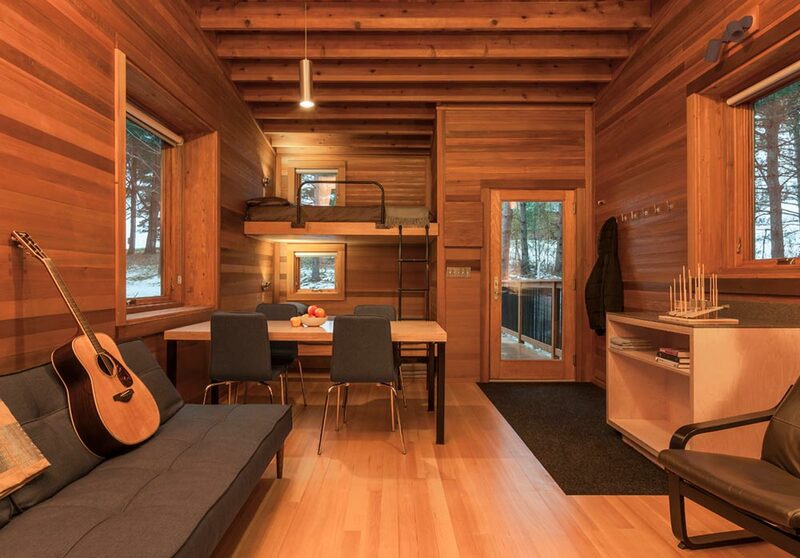 227 square feet are all these impressive retreat dwellings need to amaze anyone lucky enough to stay in one. 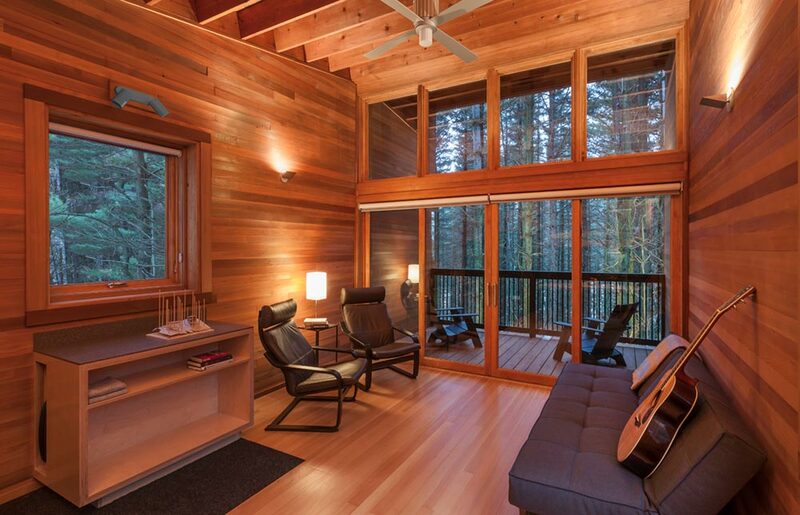 Inside, the vaulted ceiling directs the eye towards the back of the cabin, where a covered deck hangs precariously over the forest floor, offering incredible views and an incomparable sense of lightness. 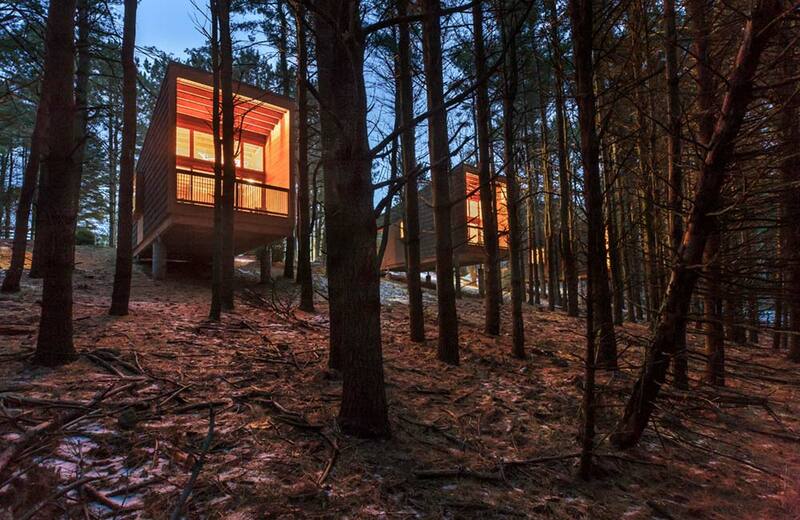 While the cabins are light on amenities, they more than make up for it in aesthetic and experiential beauty. There is just enough room for 5-6 people to lounge comfortably, and enjoy each painstaking detail the designers added to make the structures truly special. 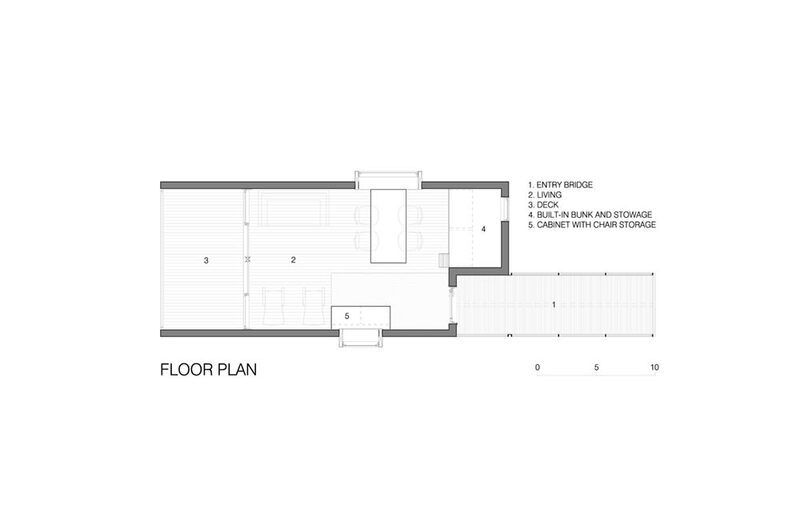 Every element has its place, which is hard to do with such a modest footprint. There’s something special about sleeping perched in a canopy of clustered trees, but the Camper Cabins do something to elevate the experience to something more than just a close up with Mother Nature. They are designed with care, and reflect the time, effort, and ecological precision it takes to grow a tree from sapling to old-growth.